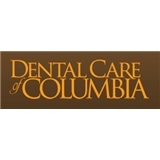 Dental Care of Columbia (Columbia) - Book Appointment Online! Welcome to Dental Care of Columbia, Your Columbia Dentist! Our goal is to provide the highest quality care, while enhancing the lives and smiles of our guests. Our office offers a peaceful, relaxing atmosphere and thoughtful care. The doctor was very professional. The appointment was great.